Everyone should have an opportunity to see women in roles they can aspire to one day be, roles that show women as strong, smart and bold. From a teacher to a fighter pilot—or a superhero. This is an opportunity to continue to empower girls to be just that. Marvel Studios’ first female led film, "Captain Marvel” offers this type of important representation. We want to help girls from various backgrounds have the opportunity to see the film by providing tickets and renting out theaters. We Have Stories would love your help in providing these young women from Girls Inc. LA with an opportunity to have a film experience with many elements that are female led. 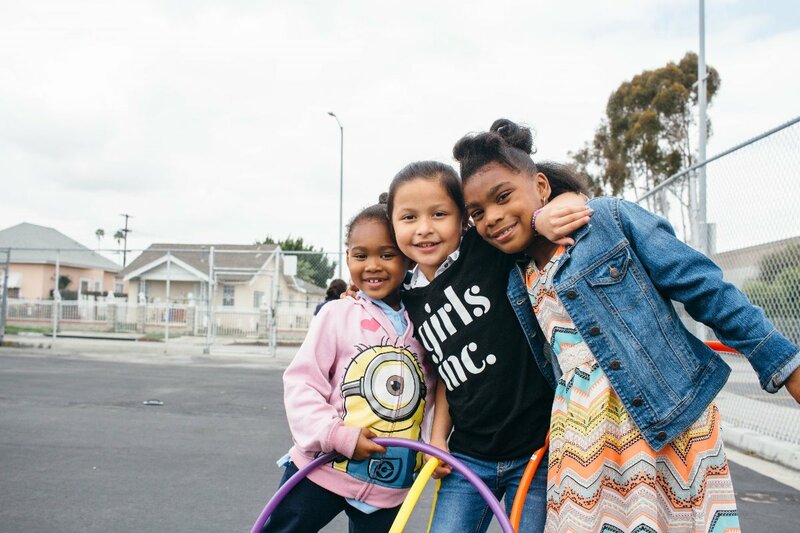 Girls Inc. of Greater Los Angeles serves girls in Title I schools in South Los Angeles, Watts and Compton. Many Girls Inc. participants are considered "at risk" through no fault of their own, due to circumstances such as family poverty, gang surroundings and even homelessness. Still, girl-based challenges affect all young girls regardless of income, ethnicity, or education.Girls Inc. of Greater Los Angeles provides hundreds of girls with life-changing support and real solutions to the unique issues they face. We Have Stories is a 501(c)(3) non-profit organization that provides financial grants for resources and support to storytellers and content creators from diverse communities to help increase positive representation of these groups in media. At We Have Stories we believe that empathy is a powerful tool that can be used create a less divisive and more equitable world for everyone. 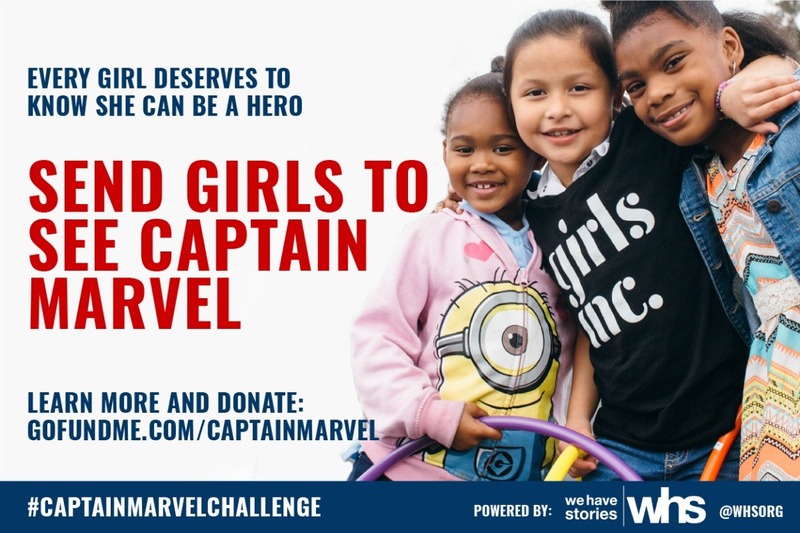 Over the past month, people from all over the world have donated to our effort to take the children from Girls Inc. Los Angeles to see Marvel’s first woman led film, Captain Marvel. In some exciting news, we have partnered with Cinépolis Theaters to create the movie experience for the children from Girls Inc. LA. 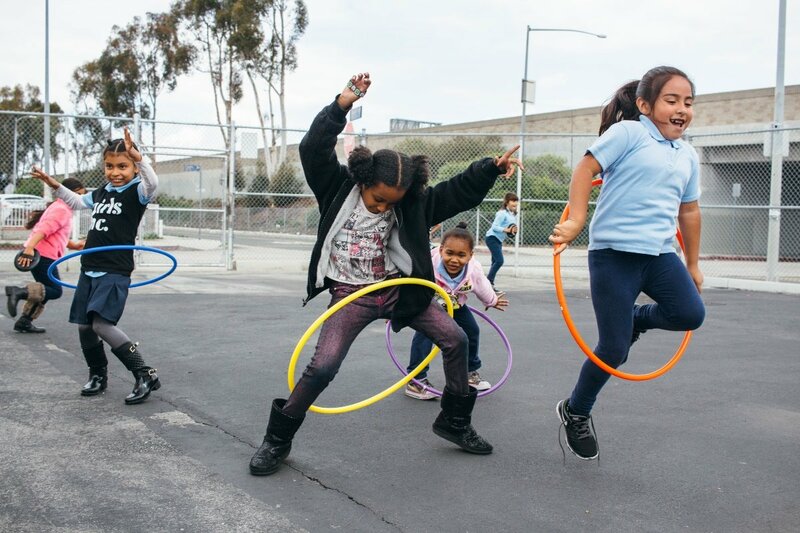 Also, we have exceeded our original goal and now have the opportunity to use the additional funds to support We Have Stories and Girls Inc. LA’s goal to expand their programs in STEM education, literacy, and math to more girls in Watts, Compton, and South LA. Many of you have already donated, and for that we thank you! Please keep sharing the challenge with your networks to help support Girls Inc. LA and the other amazing campaigns that have been created. I want to thank you all for donating to the Captain Marvel Challenge! Your support will help create an amazing experience for the young women from Girls Inc. LA. To date, we've raised over $7,500 for the campaign, but we still have work to do. To get the word the word out, we are going to need your help. Which is why I'm asking that each of you share the link to the campaign with your networks via email and social media. Thank you all for being amazing and supporting these wonderful girls!